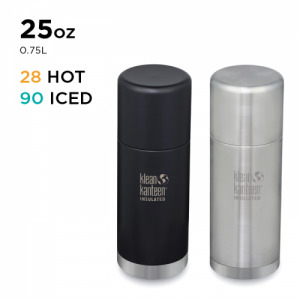 Klean Kanteen Stainless Steel Insulated Thermal Flask with Cup - 750ml/25oz - 100% Plastic Free - 28 Hours Hot / 90 Hours Cold! Our Summary: Sturdy, practical and sustainable, the TK Pro will last you a lifetime of outdoor adventures or at work or home with hot or cold drinks staying that way for hours. 100% leakproof. And no plastic anywhere! The 360 pour through design means you just have to lift it up and pour from any angle with no drips. It really is cutting edge thermal technology. 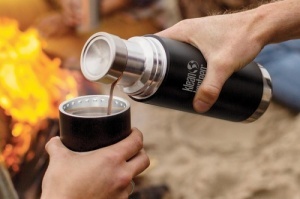 The streamlined and eco-friendly TKPro is a new high-performance, plastic-free, thermal Klean Kanteen. 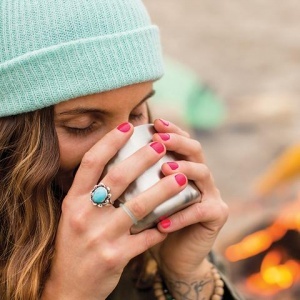 With its integrated double-wall stainless steel cup and pour-through design, the TKPro represents the forefront of thermal insulation technology for both hot and cold drinks. Whether sipping hot coffee miles from the nearest road or pouring ice cold cocktails in the heart of the city, the TKPro is your built-to-last solution. Constructed with high quality stainless steel and rigorously tested double-wall vacuum insulation throughout (including the lid) and internal thread design, your TKPro 25oz will keep drinks hot for 28 hours and iced for 90 hours. 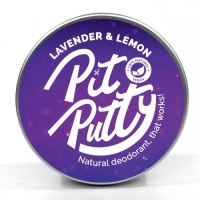 The rounded interior also makes cleaning easier and safer as bacteria and germs have no where to lurk. 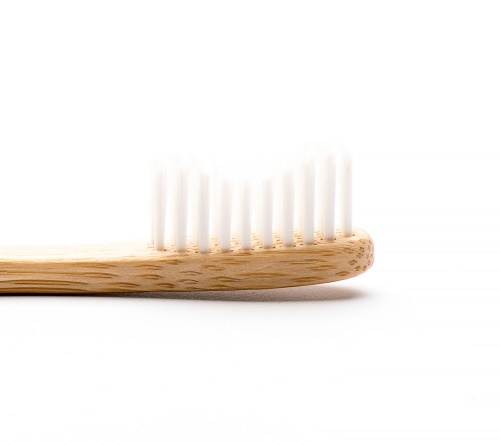 Klean Coat is the new chip-resistant, durable finish that is designed with care to stand up to your busy life. It is 4X More Durable meaning your Kanteen is ready for a lifetime of use and will continue to look great after years of adventure. 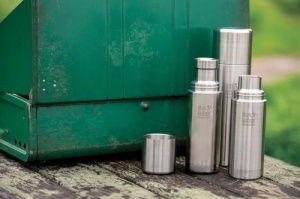 The inside of all Klean Kanteen bottles are electropolished so they don't retain or impart flavour like cheaper stainless steel bottles can. So no matter how many times you refill it, no matter what you put into it, your Klean Kanteen will keep your drinks fresh, crisp and clean tasting. 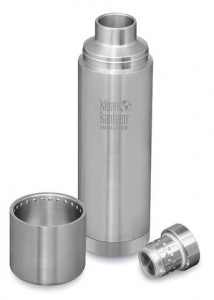 Klean Kanteen TKPro bottles are available in various useful sizes from 16oz ml) to 32oz (1 ltr) and there is a lifetime warranty on this premium quality stainless steel drink bottle. The electropolished 18/8 food-grade stainless steel interior doesn’t retain or impart flavours so whether it's used for coffee, milk, water or juice, no flavours are ever retained.